The victory of Saairun (Marching Forward) in Iraq’s 12 May elections took many by surprise. The alliance which united the Shi’i Islamist Sadrist movement, led by the cleric Muqtada al-Sadr, and the Iraqi Communist Party (ICP) won more seats (54) than any other electoral coalition. Much has been written since the shock election result reflecting on Muqtada’s supposed transformation from ‘fiery cleric’ to political reformer who may now hold the key to Iraq’s future. Some have gone so far as to argue that the Islamist leader is now championing a ‘secular-oriented’ politics. This positive coverage tends to gloss over the profound scepticism about the reforming potential of the Sadrist–ICP alliance within Iraqi secular civil society. Nor does it dwell on the internal divisions and fragmentation of Iraq’s secular political scene that developed, in part, as a direct consequence of the Sadrist convergence. Iraq’s secular political landscape has been weak and fragmented since 2003. This has been obscured somewhat by the prominence of Ayad Allawi, particularly in 2010 when his Iraqiya list won the most seats in parliamentary elections. Allawi has often been viewed from outside Iraq as the figurehead of a modernising secular-liberal politics. However, this understanding places too much emphasis on an ideological identification. Allawi’s pan-sectarian coalitions have been intra-elite strategic bargains, typically driven by bandwagoning practices that have little ideological content. What is left of secular politics when Allawi is bracketed off? Elsewhere, I trace the emergence around 2009 of an inchoate political movement focused on building an ideologically secular alternative to the dominant Islamist politics. Between 2009 and 2014 this movement developed into a self-conscious entity that became known as the civil trend (al-tayar al-madani). The civil trend was constituted by a loose coalition of academics, journalists, cultural figures and new Tocquevillian forms of local civic organisation. It incorporated several political parties, amongst whom the ICP was the largest and best organised. In 2014, there was an attempt to unite the civil trend behind an ideologically secular political project committed to a civil state (al-dawla al-madaniya). This was the Civil Democratic Alliance (al-Tahaluf al-Madani al-Dimuqrati, CDA). The CDA was an ICP-led initiative, but to avoid the appearance of ICP dominance, an independent academic, Ali Kadhem Aziz al-Rufa’i, was made its nominal head. However, from the ICP’s perspective, the CDA strategy was a failure. In the 2014 elections, the alliance won only three seats, one of them through the female quota. Faris Jajo, who obtained his seat via the quota for religious minorities, joined the CDA post-election. None of the winners represented the ICP. Another effort was made to establish a united secular front following the disappointing 2014 election results. Taqadum (Progress) was launched in October 2017 and included the ICP and former CDA members. However, this initiative quickly unravelled following the ICP’s withdrawal and subsequent alignment with the Sadrists. The failure of the CDA to deliver political power for the ICP is a key factor explaining the latter’s receptivity to cooperation with the Sadrists. Outside the party–political realm, convergence with the Sadrists caused further fragmentation within the civil trend. This was also marked by a process of depoliticisation. Several of the civic organisations that connected civil society to the protest movement, and the wider political project of the civil trend, withdrew from both these domains. They turned against political action altogether, focusing instead on intellectual and cultural activity. For example, Hasan Hadi Zaboun, a former Sadrist turned secular activist, hosted the first exploratory meeting between the civil and Sadrist trends at his home in Baghdad in 2015. However, Zaboun quickly withdrew from the cooperation and focused on his work with For Those Who Dare to be Rational (Li-Man Yajrou Ala al-‘Aqlaniya). This is an intellectual discussion group that holds meetings in Mutanabbi street, the hub of book selling and intellectual life in Baghdad. Zaboun told me their activity was ‘far from politics’, focusing instead on ‘raising consciousness via lectures and talks on history, psychology, economics and philosophy’. Meanwhile, the journalist Sa’doun Mohsen Thamad founded a new group called Madaniyun. Thamad had rejected cooperation with the Sadrists from the beginning, refusing an invitation to participate in meetings. Madaniyun presented itself as strictly secular. Moreover, it rejected cooperation with any political entity, whether the Sadrists or the ICP, choosing instead to withdraw from political mobilisation. Madaniyun caused a splinter within the group leading the civil trend’s participation in the 2015 protests, Mustamirun, as several key figures left to join the rival outfit. Many civil trend actors saw the ICP’s alliance with the Sadrists as a strategic disaster and betrayal of the civil trend’s identity and purpose. They feared that the Islamists would hijack the protest movement and use it to their political advantage. They argued that it was not realistic to expect the Sadrists, who had been part of the corrupt political system, to initiate meaningful reform. They also argued that the Sadrist–ICP alliance risked fragmenting the fragile unity of secular political forces, just when their message was gaining traction with the public. These fears were at least partly borne out by the poor performance of secular ‘madani’ candidates in the 2018 elections. From those who won seats for the CDA in 2014, only Faiq al-Shaykh Ali managed to win a seat in May (for Tamadun). Mohammed Ali Zaini was a surprise win for the remnant of the CDA in Baghdad. However, the ICP did not fare much better, gaining only two seats, in Baghdad and Dhi Qar, despite running 58 candidates nationally. Kirk Sowell has run the numbers on Saairun’s electoral performance, and while it appears that civil candidates boosted Saairun’s vote in some provinces, helping the Sadrists gain more seats, the civil candidates received no comparable benefits from the alliance. For example, in Baghdad alone, Sowell noted that all of Saairun’s secularist allies ran a total of 57 candidates, and only two of them won, one of them the ICP candidate noted above. This has put a dampener on their initially jubilant reaction to the election results. In fact, the immediate future of the Sadrist–ICP alliance looks to be in doubt. The strong second place finish for Hadi al-Amiri’s Fatih alliance of Iranian-aligned groups made them difficult to exclude from a governing coalition. Negotiations between Muqtada, Ameri (Badr), Ammar al-Hakim (al-Hikma), and outgoing Prime Minister Abadi have been taking place and it’s possible that there could be a rapprochement between Muqtada and Fatih to create a unified Shi’i bloc. This would place the ICP in an extremely difficult position should it continue to participate in Saairun, since it would appear to reinstate the status quo that was targeted by protesters. Jassim al-Helfi, who is involved in negotiations on behalf of the ICP, told me that any coalition involving Fatih would be difficult but could possibly proceed if Fatih split and some of its most radical elements (from the ICP’s perspective) were excluded. The existence of such a strategy might explain the recent attack on the ICP’s headquarters in Andalus Square in Baghdad, although the involvement of those elements is merely speculation at this stage. Even this unlikely prospect will hardly satisfy the rest of the civil trend. 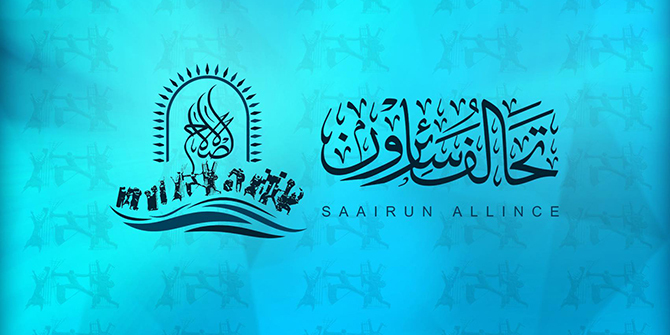 Even staunch supporters of the Sadrist–ICP alliance would prefer Saairun to go into opposition. The academic Faris Kamal Nadhmi, one of the most vocal advocates for the Sadrist–civil trend cooperation told me: ‘I know it will be a very critical moment for the ICP if Muqtada is building such an alliance with Fatih. I think Saairun is going to be an effective opposition rather than part of a semi-sectarian alliance’. However, a more likely scenario in the event of a Sadrist–Fatih accommodation would see the ICP break away from Saairun and go into opposition alone, dramatically curtailing any hopes for achieving the reform agenda which constituted their election manifesto, and which emerged from the demands of the protest movement.